When shopping in Japan, one will always encounter products with the sign gentei shouhin (限定商品), or “limited edition goods,” on them. This sign indicates that the products are only sold in a certain region, during a certain period of time, or under certain other conditions, such as the special sweets known as yatsuhashi (八ツ橋) that are only sold in Kyoto, fruit-flavored drinks that are sold only in the summer, Hello Kitty dolls dressed in special costumes that are sold only in Hiroshima, and special-shaped snacks that can only be found at the Tokyo SkyTree. Because of their scarcity and uniqueness, these goods give people an impulse to buy them. People think that if they don’t buy the goods right away, it is likely that they might never be able to find them for sale again. At the same time, these limited edition goods also create a great way for merchants to trap their customers into buying goods that are not actually necessary. For instance, I was often tempted to buy a summer-limited-edition plum-flavored juice (see photo) over other juice options even though it did not taste any better than the others. I only bought it because I knew I could get the other flavors at another time, or even outside of Japan. Although these limited edition goods were created by businesses to boost sales, they still show some unique features of Japan. First, Japan is a country with four clearly-divided seasons. Thus, limited goods are often based on the seasons, because the climate and scenery vary greatly in each season. 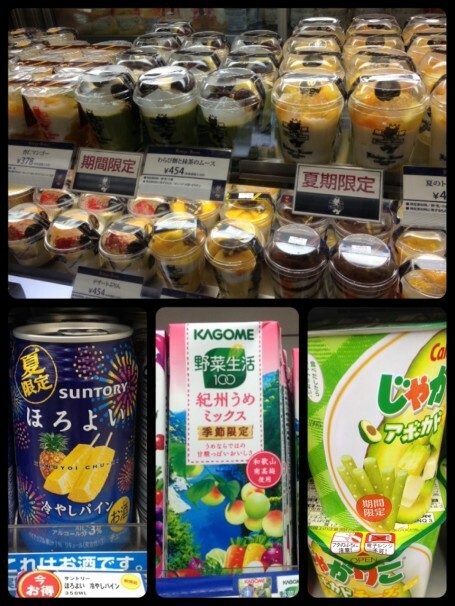 For example, many spring-limited products focus on cherry blossoms, while summer-limited products tend to focus on green tea, watermelon, ice, and fireworks. Second, although Japan is a small country, every major region is relatively isolated because of the country’s mountainous geography. As a result, each region was able to develop a unique culture, which has created a habit among those traveling to different regions of bringing limited, or area-specific, gifts back to give to their friends and families. 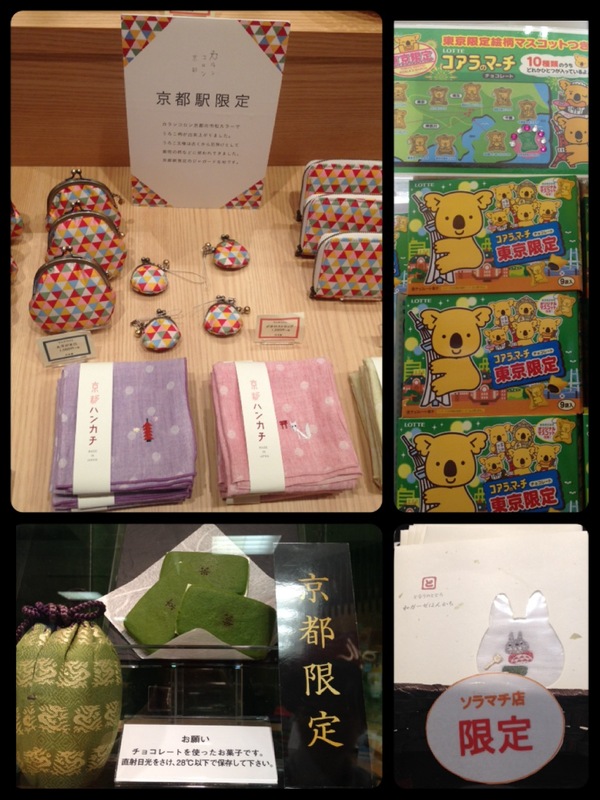 In this way, regional limited goods are a popular way of advertising an area’s unique culture, while also serving as great gifts. This entry was posted in Culture, Exploring, Travel, Uncategorized by geajapan. Bookmark the permalink.